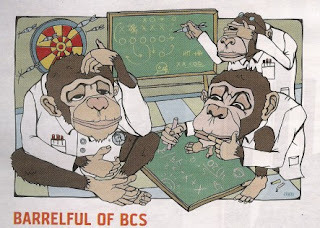 Last night's BCS Championship Game certainly settled things (and quickly). 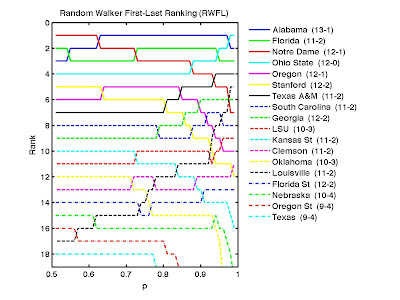 With their victory over Notre Dame complementing every else they've achieved this season, it is not surprising that Alabama has moved into #1 in these algorithmic rankings at most values of the bias parameter, p, as visualized below. In closing out our rankings for the season, we once again say thank you to both Peter Wolfe and Kenneth Massey for making this task easier on all of us. Both are part of the official Bowl Championship Series standings. Wolfe provides the data in an easy-to-process form. 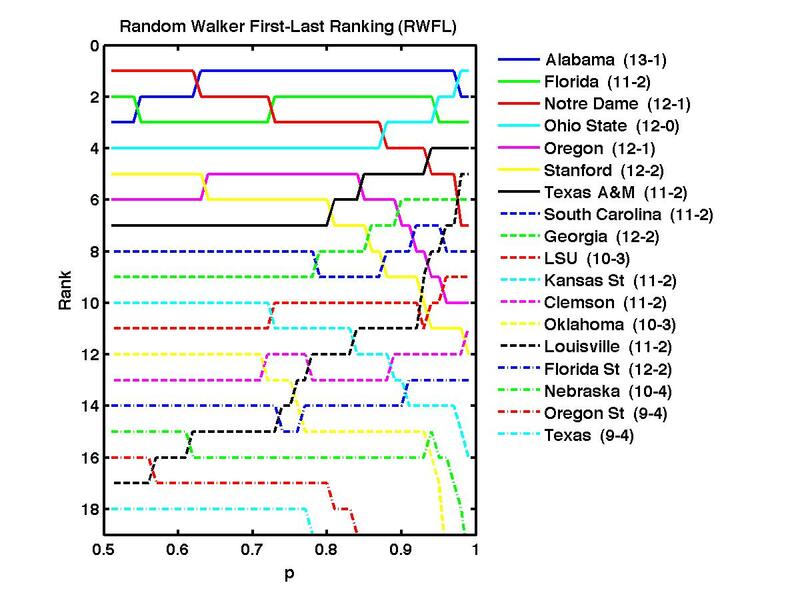 Massey publishes the College Football Ranking Comparison, including the RWFL rankings at p=0.75 run on the full network of connected teams (where the rankings are broken out separately for the FBS and FCS).